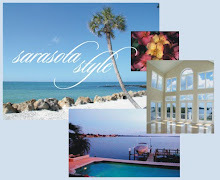 For those who are looking for a private and secure place to live in Longboat Key, Vizcaya may be the perfect option. Not only is the community gated and guarded, each of the three 4-story buildings also features a secured lobby as well as private elevators. In other words, for those who value their privacy, Vizcaya on Longboat Key may be the perfect choice. In addition to providing residents with a great deal of privacy, Vizcaya Longboat Key also offers a convenient location coupled with a wide variety of amenities. Constructed in 1997, Vizcaya on Longboat Key offers all of the amenities that would be expected from a modern day condo. Some of these include tennis courts, a swimming pool, a fitness center, a clubhouse, a sauna and a spa. Aside from the numerous amenities that Vizcaya on Longboat Key has to offer to its residents, each of the units is quite spacious as well. In fact, the 2 to 5 bedroom units are available in sizes ranging from 2,499 to 6,021 square feet. With its spacious units, convenient location and ample amenities, it is easy to understand why Vizcaya in Longboat Key is one of the most highly sought after condo communities on the island.